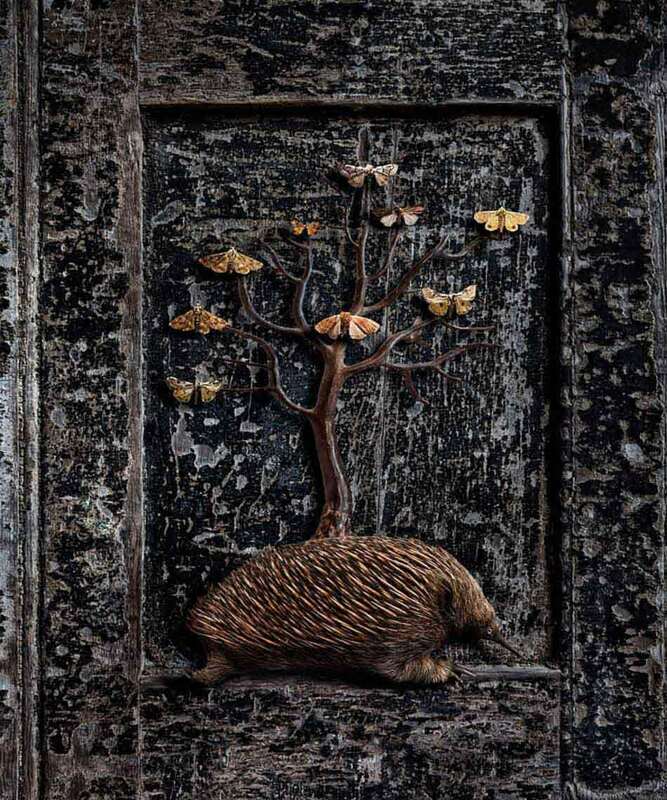 The Moth Tree - The Left panel of the triptych depicting the Echidna who had the knowledge of how to grow moths. Sideview of Echidna with a tree growing out of it's back with moths growing on the tree. Typical of the surreal art of Paul Biddle Artist.